Noted analyst Ming-Chi Kuo has issued a new research note today, cutting his shipment estimates for the iPhone XR due to several factors. 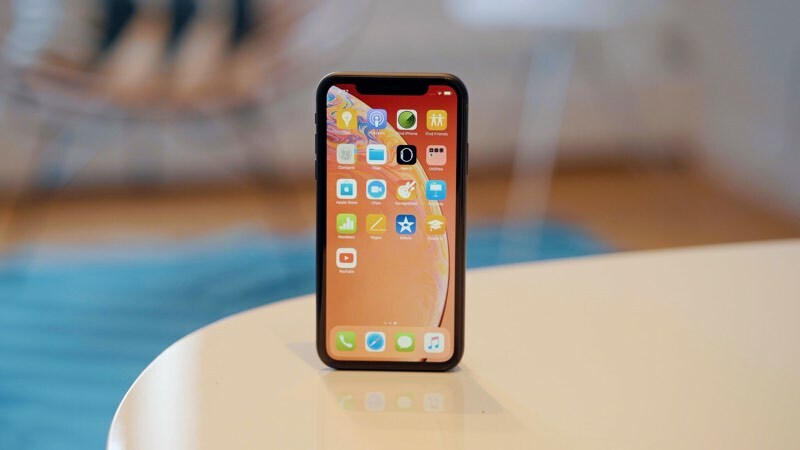 He believes that some of the decline will be offset by higher demand for iPhone XS and older "legacy" models, but he is still reducing his overall iPhone shipment forecasts by 15–20 percent for the first quarter of 2019. We have reduced our iPhone XR shipment estimation from 100mn units to 70mn during the new product lifecycle (4Q18–3Q19) for the following reasons: 1) Negative impacts on consumer confidence from the trade war, especially in the Chinese market, 2) expectations from more users for more affordable XR or the dual-camera and narrower bezel design to be provided at the current price level, and 3) competition from Huawei's Mate 20 series. We have reduced our XR shipment estimations for 4Q18, 1Q19, and 2Q19 by 30–35%, 25–30%, and 25–30% to 30–35, 20–25, and 10–15mn units, respectively. Kuo believes that iPhone shipments for the current quarter will be in the same 75–80 million range he previously predicted, while he has lowered his first-quarter estimate to 47–52 million from a previous range of 55–60 million. Kuo's prediction is somewhat curious given that he raised his early iPhone XR estimate a little less than a month ago and cited stronger demand than seen for the iPhone 8 last year with the potential for more stable demand over time. Apple's stock price is down over 4 percent today, outpacing broader market declines and falling to its lowest point since the end of July. It's simply too expensive. All Apple's phones are now. Here in the UK, wages have been stagnant for years; we simply cannot absorb these 20-25% price increases on top of the exchange rate pressure we're seeing due to Brexit. These aren't even affordable on contract. Carriers are now touting 3-year plans instead of 2; that's an extra year with the same phone just so you can pay the same monthly charge as before. Meanwhile, Huawei are killing it here. Their phones are gradually appearing everywhere; lots of new Nokias and Samsungs too (as the latter are frequently discounted). The 1080p LCD-based Huawei P20 Lite (which the XR roughly competes with) is just £229 outright. Is the XR better? Maybe. But it's not £520 better. Even going up tiers to the P20 (£399) and the flagship P20 Pro (£629) make the iPhone prices look ludicrous. I just don't see how Apple is going to sustain these prices against such decent competition. Why is it whenever apple is expected to sell less items, either Tim Cook or other analysts blame either a trade war, or some other reason, but never say that the consumer is slowly waking up to see that apple's old tech isn't enough to sell as much as it used to? Uh-oh. Almost looks like the XR is going to be a repeat of the iPhone 5c. I thought people loved phablets? I think people do, which is why they bought the XS Max - iirc sales numbers were ok/good for that. The issue with this model is that it's just "the cheap version". Apple's lineup should be a $1000 iPhone XS with 128gb of storage, an iPhone SE2 with 64gb of storage, and an iPhone XS Max for $1200 with 256gb of storage (roughly speaking for all). There are a lot of people who want the XS series, a lot of people who want an SE-type phone, but there doesn't seem to be a real need for the XR. Sometimes I don't think Apple understands their market. Make high-quality, repairable, expensive but not overpriced stuff that makes my life better/easier and you've got me for life. Cancelling the Time Capsule/AirPort Express, not updating the Mac lineup, and jacking up the price of the iPhones isn't a long-term winning strategy. I think it is somewhat of a comment on the smartphone market overall too. The market is essentially saturated, and people are holding onto devices longer since speed / software compatibility / and features have more or less leveled off. The Rent is too high. No wonder! The XS is too big, too heavy und much too expensive. The XR is much too big, much too heavy und too expensive. The XS is much, much too damageable, when falling down. I am waiting and waiting for a desirable XR-Min, which is as solid as the SE was. My SE fell down several times without any damage. Best iPhone ever. And no, I don't like cases. "the most breakable iphone ever". No thanks. I want my SE2. Just reduce it to 5.5” and make it USD 649 and the sales will more than double. For me, all the products are linked. I like having my data sync'd easily between my iPad, phone and laptop. However, as I start to replace some of the software (keychain to Bitwarden, Safari to Firefox) coupled with the fact I don't think the newer laptops or iPads are value for money, then once I decide to switch one device away from the Apple ecosystem, the others lose their main advantage pretty much immediately. After which it comes down solely to price, and Apple never wins. At the moment I have a 1st gen iPad mini (which is just about hanging on to life), a late-2013 MBP (which runs great, albeit needing a new battery) and an iPhone 6S (ditto). Once one goes, it'll be like dominoes. I don't want to change though. I'm hoping a decent laptop is unveiled before mine needs replacing, I quite like the XR but find it over-priced, and I'm considering ditching the tablet completely as there's no new mini and the Pros are over-engineered for what I'd use one for.